Simple Scan & Easy Preview of Orphan OST File. Convert OST to MBOX with complete data including attachments. Export Selective Files/Folder from Outlook OST file to MBOX. Compatible with Windows 10 and other below versions also. Free Download Demo version – Try it Yourself. The Outlook OST Data to MBOX Tool allows you to convert ost to mbox and the corresponding attachments are embedded in the same file. It thoroughly converts the ost file items including the inbox, sent box, drafts, trash etc. directly into mbox file format without losing any byte of data. The tool enables you, either to perform the selective quick migration of ost emails into mbox file. For selective conversion, you have to select the desired ost files using the check box and then export it. Using the bulk conversion, you can easily export multiple ost folders in mbox format. Advanced Preview of OST data file. The Outlook OST Data to MBOX Tool facilitates you to view the content of ost file after the completion of scanning of ost files. The complete details related with the ost file get also listed such as To, From, Fax number, contact number, the subject of mail date, contact name etc. To view the details of specific emails, you have to select and the software automatically opens details for you. The software is made so reliable that it preserves the exact metadata information and folder structure of OST files. The information about the header of the email such To, From, Sent, Received Date is precisely retained by the software while performing the conversion of ost emails to mbox. It ensures you about 100% conversion result. Before proceedings with the final step of conversion, the software asks you to select the location to save the resultant file after the conversion. You have the flexibility to choose any location to save the resultant mbox file. The software also provides you the facility to create the new folder using the software panel itself. No, There is no pre-requisite to use the software on Windows platform. The software is compatible with all the version of windows. 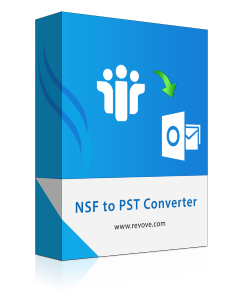 Can I perform the selective conversion of ost emails using the software? Yes, You can perform the selective conversion of ost emails to mbox file format using the software in easy and convenient manner. Is there option to sort ost file according to multiple attributes set? Does Live Exchange Environment required for the conversion process? No, There is no requirement of exchange live environment for the conversion process. The software can perform the task in offline mode also. How can I access the resultant mbox file in Thunderbird email platform? Download the ImportExport Extensions to access the mbox file in Thunderbird Email Platform. I am the personal with the non-technical background and I used this tool for quick migration of OST Emails to MBOX file. The Graphical User Interface of the software is so simple and unique that I easily convert my orphan ost files into the mbox file format. I got stuck in between the process, then I contacted the support team, they are so technical and knowledgeable solves my queries in seconds. I am very much thankful to the Support team for their help. I have the large collection of corrupt ost file and limited time span, I want to migrate it to the mbox file format. I did with all the searchings and queries posting in forums and found the Outlook OST Data to MBOX Converter software. I have used this tool and it makes my task so easy and simple that I efficiently convert my 35 GB of OST files to MBOX file format without loss of any data and folder structure. Hats off to you for such nice software. Magnificent Tool for the conversion of Orphan OST Files into MBOX File Format.